Continuing in my Boba Fett description project, the second time Boba Fett appeared in either television or movies is in “The Empire Strikes Back” (Star Wars Episode V). This appearance is perhaps his most famous appearance, from which most people know him and were introduced to him (since most people have not (or do not want to) watched his first appearance in the atrocious Holiday Special). He appears many different times in “The Empire Strikes Back”, which makes this “popular introduction” an interesting one. 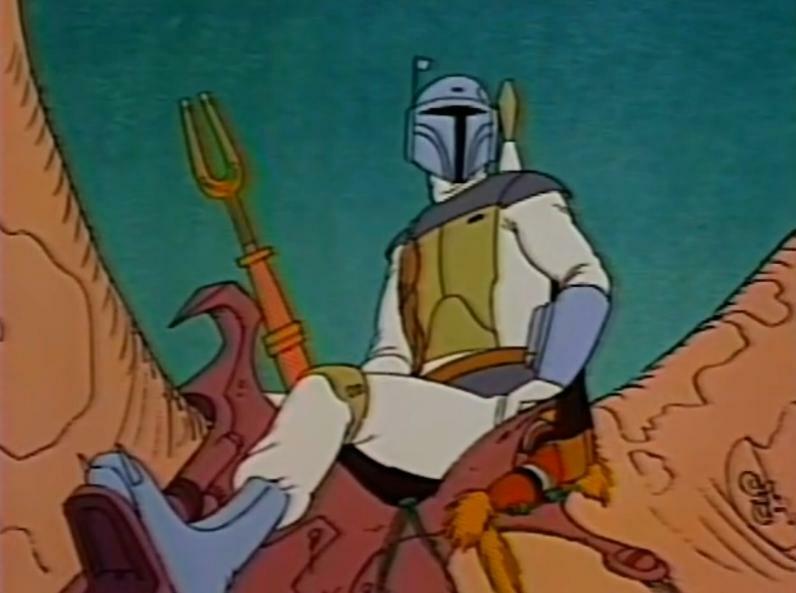 In sum, we see, from The Empire Strikes Back, that Boba Fett is a bounty hunter, who may not be liked by the Empire, but seen as a necessary way of achieving the Empire’s aims. He cleverly is able to follow and track down the Millenium Falcon, leading Darth Vader and the Storm Troopers there. He and Darth Vader clearly have done business before, although not liking how Fett can sometime obliterate his bounties. 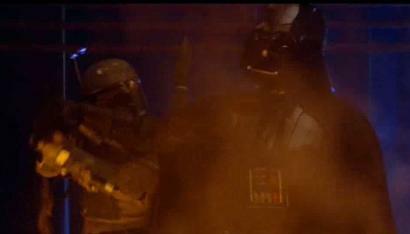 Vader respects Fett, which certainly stands out, and Vader doesn’t want to push him away. Walking with his spurs, making noises every time he walks, certainly indicates he doesn’t care who knows he’s around – he’s ready to rumble! 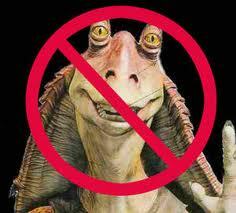 He also is very swift, as he ran back to shoot at Luke Skywalker after hearing R2-D2, so he can be very alert. Lastly, he cares very much about getting his bounty – cash is important to him. 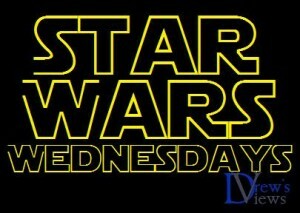 This entry was posted in Movies, Star Wars and tagged Boba Fett, Star Wars, Star Wars Wednesdays, The Empire Strikes Back. Bookmark the permalink.